Swedish crime writer Camilla Ceder's debut novel, recently translated into English by Marlaine Delargy and published by Weidenfeld & Nicholson, is much more in the mode of Henning Mankell (who is mentioned in passing) than Stieg Larsson (though there's a hit of Larsson in the name and the past (revealed late in the novel) of one character. The story is a police procedural, skillfully told through a series of characters, including Detective Christian Tell and the members of his team as well as glimpses into the points of view of several witnesses and others involved in the story. The main thread occurs around Christmas, 2007, near Gothenburg, after the operator of a rural auto repair shop is discovered murdered, shot and then run over with a car repeatedly. Seja, a young woman who is at the crime scene but lies to Tell about why she's there becomes entwined in the story through her increasing personal involvement with Tell as well as her desire to become a journalist. The dogged investigation goes off in one direction, only to turn suddenly with the discover that another man has been murdered in similar circumstances, and then to turn again when a key fact of the first murder is discovered. Each of the twists is prepared for not by a single brilliant deduction but by several people working together and separately, increasing the collective quality of the story as well as the realism. In fact, the realism is vivid and consistent, except for one very large coincidence (and coincedences do occur in reality of course). The second thread of the story is 10-12 years earlier, intermittently following a young woman's troubled life as she flees a difficult home life, enrolls in a residential school, finds a lover there, and travels home to visit her mother and brother. 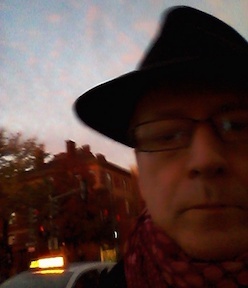 Just as that thread is beginning to seem tedious, an event occurs that suggests to the reader what the connection between the two threads of the story might be, and from there the threads converge effectively. One of the most effective aspects of the novel is the fully realized cast: each of the detectives has a distinct character, and each has a moment in the foreground that clarifies his or her personality as well as his or her value to the investigation (even the most annoying detective, seemingly there for comic relief until his moment comes). The minor characters, detectives as well as witnesses and bystanders, are more fully and effectively portrayed than in most crime novels. The rural location of most of the story and the collaboration of the detectives suggests a link to the Wallander stories, but Ceder surpasses those landmark Scandinavian novels, in my opinion, by closely focusing on ordinary people (the cops, witnesses, and perpetrators are well within the recognizable range of people a reader might encounter in his/her own home town or in a casual trip to southern Sweden--no international masterminds, aristocratic CEOs of huge firms, etc.). 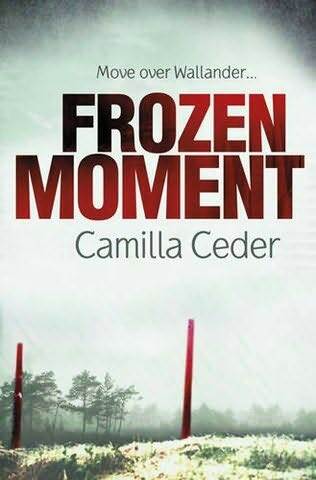 IN that way, Ceder's book is closer to Kjell Eriksson's excellent series set in Uppsala, and though I particularly liked Eriksson's first (first translated, anyway) book, The Princess of Burundi, Frozen Moment is a more completely realized (and longer) crime novel. 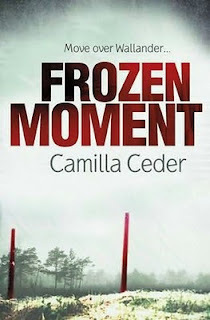 As Frozen Moment moves beyond its first half, it takes on an inexorable motion and pulls the reader along toward a final confrontation that is in some ways a cliche, but is so well handled and so understated that it works. Having just finished the novel, I'm very curious about how Ceder will follow it up (whether with Tell and the other characters from this book, or not), and once again frustrated that translation and publication takes so long with international crime fiction. Thank you Glenn - glad you liked it. I hope Orion will pick up the next book too!